For the 4th episode of our Features evening at Rye Wax, we're being taken hostage. 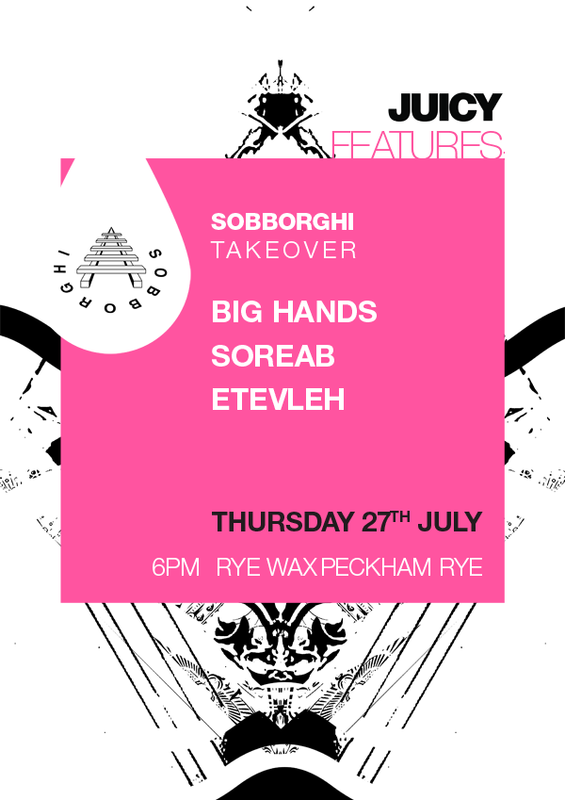 The Sobborghi crew is doing a full takeover on the decks and believe us when we say the London-based EU immigrant contingent is going all in to showcase us some of their best servicemen. Experimental and dark, his aesthetic is likened to that of Bristol’s biggest named exports. Techno, Industrial and House background, his productions combine fast-paced rhythms and Arpeggios. Emotional and mental vibes, with a cinematic approach. Juicy Features is a monthly gathering of music curators bringing unpredictable selections of the old and the new. An unpretentious night of nothing but people having fun and playing music they love. Free entry as usual. Facebook event.